What will you do if your timber, particularly Merbau decking looks a little worse after the winter months? Don’t start panicking and blaming yourself for neglecting your outdoor space during winter. The Merbau wood is an excellent hardwood that proved to withstand Australia’s climate. Just like any wood, it needs maintenance. That deck restoration should be done now. You should immediately address the damages that you see to prevent it from becoming a bigger problem later on. Expect damages on the parts of your house that’s exposed to the harsh elements. The transition from freezing, wet, to warm weather plus the UV rays from the sun damages the wood. All of these trigger the wood to rot. When that happens, the integrity of the wooden deck is compromised. If you see these signs, your deck really needs rescue. Simple problems will only need simple solutions such as re-coating or staining. If the structure started to rot and break, then it is time to consult building professionals. You might need to renovate or replace your current deck. The first thing you have to do is to clear all the furniture and decor items on your deck. Make sure to remove all the dust, stains, and bird droppings from the floor. A good pressure wash is enough for your Merbau decking. It will also force the remaining tannins, or the blood of the timber out. Dry the wood thoroughly before coating it. 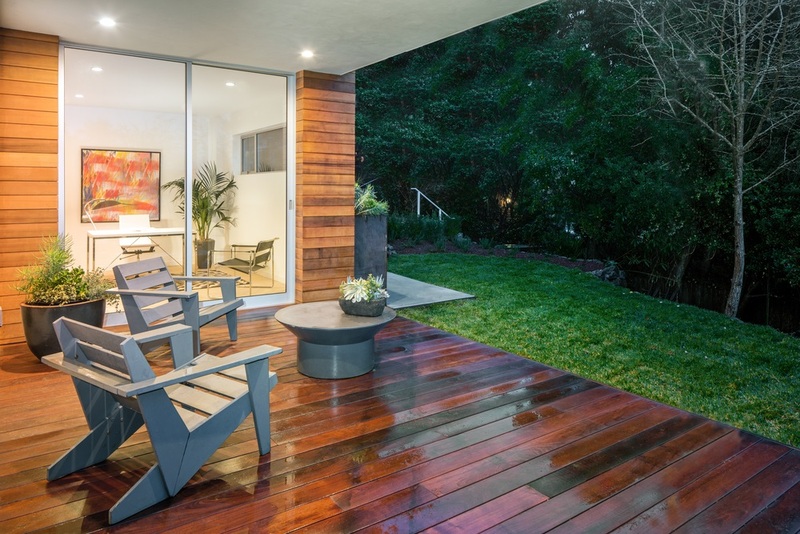 In the event that your wooden deck is in bad shape, you need to sand its surface. It will help eliminate the flakiness of the wood. Take your time and make sure that you’ve stripped off all the old coatings. Brush off the dust before applying the new layers of coating. The Merbau is a dark hardwood. We at Superdraft recommend using a lightly tinted oil to limit further darkening. Oil-based coatings are long lasting and will penetrate the wood better than water-based ones. In addition, we want you to invest in high-quality sealants. It will lengthen the lifespan of your deck! It is best if you use the sealant that you’ve used before. If you’re not planning to reapply your original oil coating, make sure that you’ve sanded the previous coating of the wood. When applying the coat, use a bristle brush. It will help you achieve an even finish. Then, wait for at least 24 hours for the sealant to dry. You should wash your deck annually. It is best to do it in spring so you can wash away all the dirt and grime which accumulated and hardened in your deck all throughout winter. Include a little pressure washing in your spring chores from now on. Tell us, did you find this story useful? How is your deck at home? Find the best architects and home designers in the Gold Coast.